The camp is often the first period that the children spend after a cancer treatment without their parents only in a group of children of the same age. Besides leaders providing a daily program there is also a doctor and a nurse who supervise the children to get their medication in time and regularly. The costs of an annual 14-days stay in the countryside for 100 children at the age 5 – 15 are about 700 000,- CZK. We organize a stay in the mountains for about 50 children at the age 6 – 15. In addition to a camp game Krtek offers children a suitable number of sports and art activities, walks, parlour games and relaxation. The cost of a week-long program is about 300 000,- CZK. The project for the NFDO Krtek´s teenagers. Relaxing weekends in the Czech Republic and sightseeing trips around European countries are prepared the way that children to whom a physical handicap arose as a result of a cancer treatment could also participate. Doctors and nurses from KDO take part in trips. Relaxation stays for families with children undergoing an active treatment and immediately after its ending provide parents with an opportunity to share their fear and hopes linked to the oncology treatment. The stays enable the parents to get mutual support and make close friendship. This group provides children with safety and understanding of peers with similar experience. The spring family weekend offers a ceremonial bonfire – „burning of witches“, walks, a space for games, relaxation, chatting and art therapy. Costs for about 120 people are approximately 130,000 CZK. The program of the family autumn weekend also includes trips, games, relaxation, yoga and physiotherapy. Within art therapy lessons the families create Christmas decorations. Financial costs for a long weekend are about 140 000,- CZK for 130 people. We established the Fund of Fulfilled Wishes under the NFDO Krtek account. Thanks to it we can finance secret wishes of our patients – no matter if it is a gift under the Christmas tree, a great birthday present or a present to make somebody very happy during an exhausting treatment. 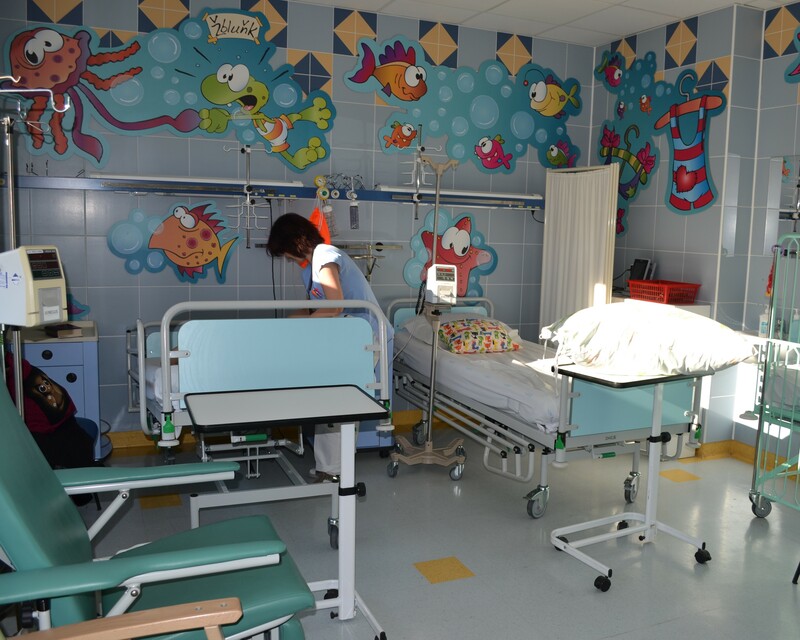 Artists, sportsmen and other pleasant celebrities often visit the Clinic of Pediatric Oncology to make children happy. Children pursuing an active or maintenance treatment and children hospitalized in KDO FN Brno together with their parents have an opportunity to visit the Brno ZOO that prepares interesting visits and trips for them with a big love. The management together with prof. Dagmar Ježková arrange special entertainment programs and tours related to unusual experience for their little guests. Every year we also visit friendly ZOOs in big cities even abroad.